Intel has been championing small-form-factor systems of late. The chip giant has taken the lead by producing the barebones and chassis for mainstream PCs under its Next Unit of Computing (NUC) initiative. 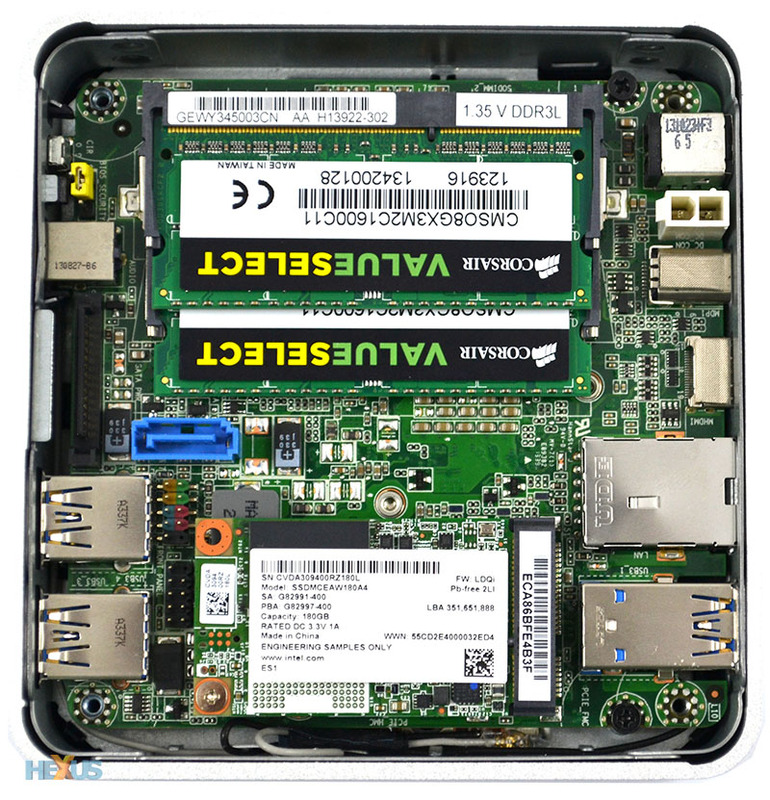 NUCs take advantage of the ever-more integration in Intel processors - where the CPU, GPU and memory controller are tied together - and miniaturisation of storage to deliver reasonable performance for a computer that's smaller than a paperback book. 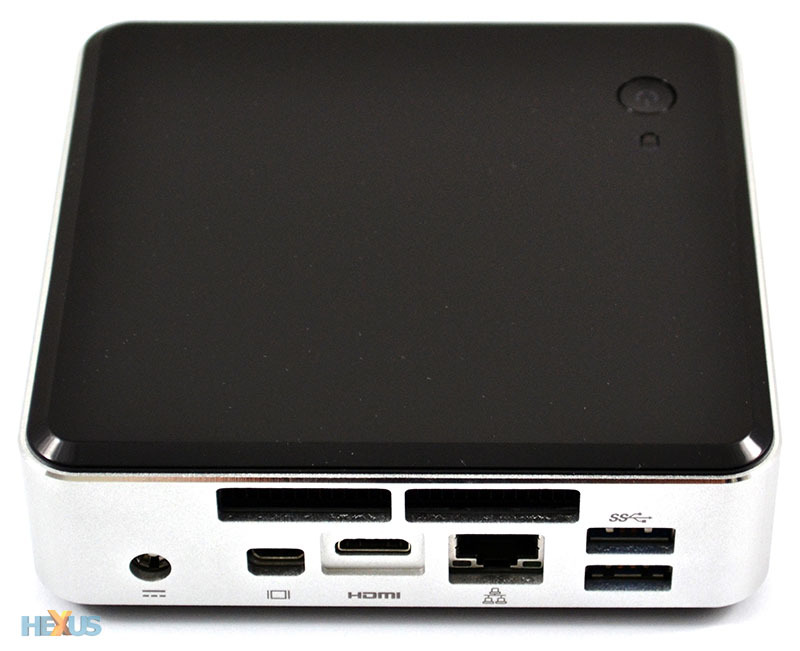 The first NUC, released last year, used a 3rd Generation Core (Ivy Bridge) processor at the helm. 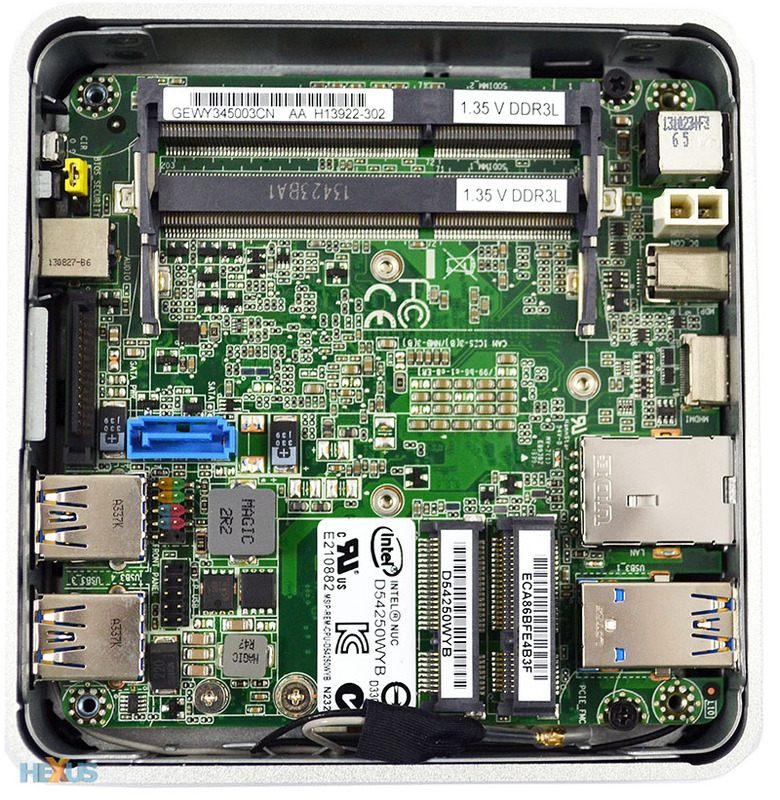 Intel has since introduced the 4th Generation Haswell chips, imbued with better graphics and more performance, so it makes a lot of sense to upgrade the NUC's potential as and when newer technologies surface. 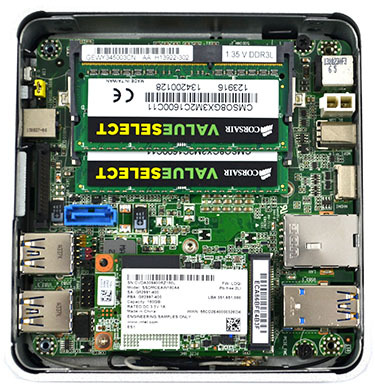 This £290 NUC isn't a plug-and-play PC, mind, as the kit still requires investment in a operating system, mSATA solid-state storage, SO-DIMM memory and, most likely, a WiFi/Bluetooth card. Folk who want to opt for a third-party chassis can do so by purchasing the NUC without a case for about £30 less. Not a lot has visually changed in NUC revisions. The chassis measures 117mm x 112mm x 35mm (WxDxH) and feels reassuringly well-put together. A small power button and status LED are the only interruptions to the reflective top cover that picks up fingerprints rather too easily. We're pleased to see that Intel has updated all four USB ports to the SuperSpeed 3.0 variety - the original version, for some silly reason, had a trio of USB 2.0 alone. There's also an infra-red sensor for easy control from the sofa and a headphone jack. Outputs, too, are improved, with the second-generation version equipped with mini-HDMI (v1.2) and mini-DisplayPort (v1.2), powered from the upgraded Intel HD 5000 Graphics present in Haswell chips. 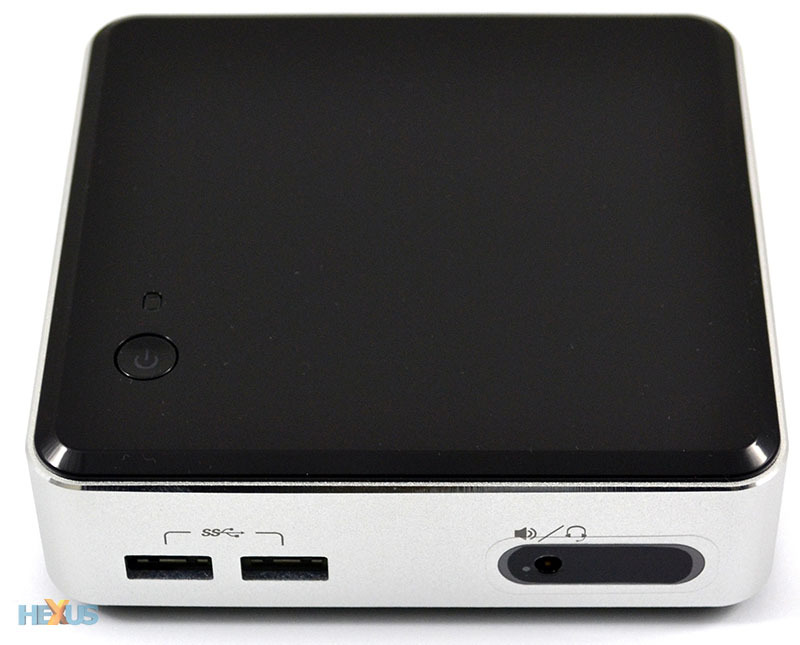 Though screaming out to be used as a media centre box with XMBC installed, NUC is versatile enough to take the place of mainstream PCs. The inclusion of Gigabit Ethernet, therefore, is sensible and paves the way for usage in office environments, though do be aware that the underlying H87 chipset doesn't support advanced security features such as Intel vPro. 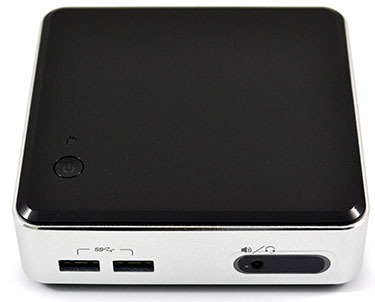 Intel bundles in an external power adapter and Vesa mounting plate, but fails to include any adapters for the usual full-size HDMI or DisplayPort cables most folk own. This means that, before starting out, the user needs to source an adapter or cable with a mini-connector on one end. The bottom pops off by removing four screws. Installing the required components is disarmingly simple; the unit features two SO-DIMM slots for DDR3-L memory, and two mini-PCIe slots - half- and full-length - for the aforementioned SSD and WiFi cards. Intel provided us with 8GB of dual-channel Corsair low-voltage memory, a 530-series 180GB SSD and Wireless AC 7260 WiFi/Bluetooth combo card, and all were installed within a couple of minutes. Do note that the necessary additional hardware pushes the overall price up to £450. Single SATA and power cables don't make a heap of sense in a unit of this size because you cannot fit a 2.5in SSD into the chassis. They're presumably present to allow third-party NUC chassis manufacturers to design larger enclosures that permit greater storage. A Core i5-4250U increases the performance potency of the NUC. The dual-core, quad-threaded chip is pre-soldered onto the board. Able to run at up to 2.60GHz and supported by 3MB of cache it's a good fit for a NUC that needs to deliver on all fronts. Equipped with a 15W TDP, the chip still requires active cooling via a 40mm fan attached to a heatsink that resembles last year's version. The HD 5000 graphics, meanwhile, scale up to 1GHz. It's ironic that the NUC's US street price is merely $30 higher than the chip's, hinting at Intel cutting margin in order to push the NUC philosophy to the masses. Backed by a three-year warranty and now a far more sensible proposition outfitted with decent connectivity and a beefier processor, let's see if it's also a capable performer.